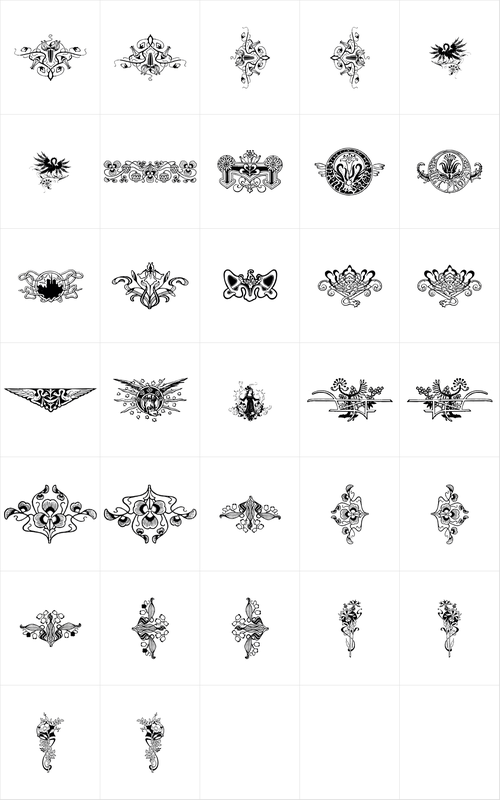 A dingbat/decorative display font featuring many different styles of flourishes and ornaments. Great for a vintage antique feel. Contains uppercase letter designs only, works best for display/decorative use only.